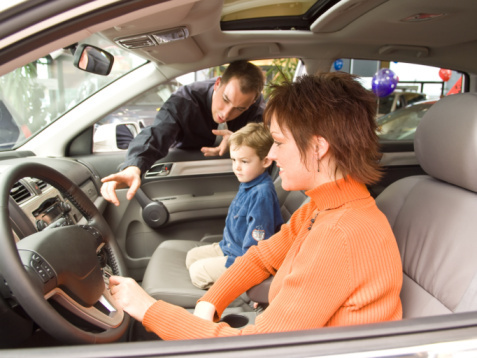 New technology can keep your family safer on the road. Self-driving cars are at the cutting edge of technological developments but they are not yet available. If you are looking for a way to save money and drive safer, the new plug-in assistant from the company Automatic, called the Automatic Link, can help. In this economy, saving money is a life necessity. One of the most costly expenses we have to face is for gas to fill up our cars. The device can help you find ways to reduce your gas consumption and save a little money every time you fill up. The Automatic Link is a small plug-in device that you can hook up to your car’s data port. Linked to your iPhone or Android, the device sends data about your speed and driving habits to an app in order to give you suggestions on how you can increase gas mileage; it also provides audible speed notifications while you’re driving. You can use the overall driving score the app gives you to track how well you’re driving. A higher score means a better fuel efficiency. If every car came with this type of device, people could be more aware of the way they are driving, making them more alert and cautious on the road. Although it cannot slow the car down, the app encourages less risk-taking while in the car. With the assistant, the possibilities of safer road conditions and cheaper trips to the gas station are in reach. There have been apps that have monitored the way you drive, sent for help when you were in a crash and helped you maximize your fuel efficiency. The difference between apps like those and Automatic Link is that, with this device, you get all of them rolled into one. So instead of getting your gifts, cake and party all at different times, you get them all at once. It’s like having a mechanic, a mom, an assistant and first-responders all at your fingertips. Super apps like this give you the knowledge and the power to be a safer driver on the road in a very convenient way. With the development of more of these apps, the possibilities of reducing driver error and making roadways safer are endless.